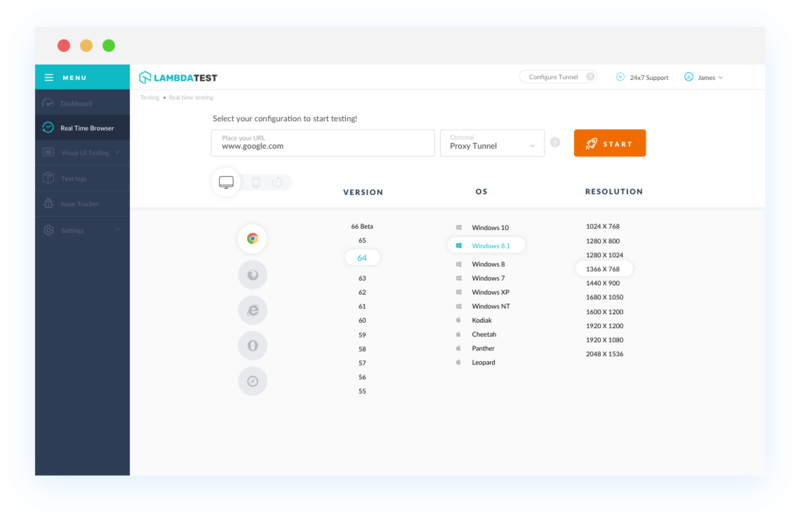 With LambdaTest you can test your website on 2000+ browser and OS combinations for cross browser compatibility issues and ensure that your webpage fallbacks are working fine on browsers that do not support Web Rtc Peer to Peer Connections. Chrome version 4 to 22 doesn't support Web Rtc Peer to Peer Connections. Chrome 23 to 55 partially supports Web Rtc Peer to Peer Connections property with prefix:webkit. Chrome 56 to 68 supports Web Rtc Peer to Peer Connections property. This element is not supported by Mozilla Firefox browser version 2 to 21. 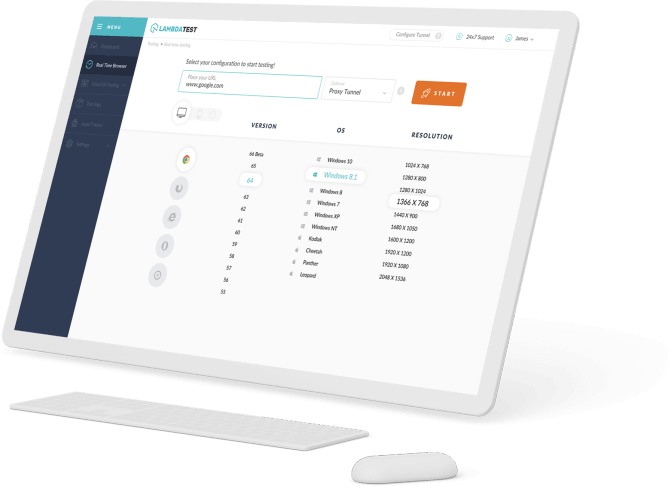 Web Rtc Peer to Peer Connections is partially supported by Mozilla Firefox browser version 22 to 43 with prefix:moz. Web Rtc Peer to Peer Connections is supported by Mozilla Firefox browser version 44 to 61. IE browser version 6 to 11 doesn't support Web Rtc Peer to Peer Connections. Safari browser version 3.1 to 10.1 doesn't support Web Rtc Peer to Peer Connections. Safari browser version 11 to 11.1 supports Web Rtc Peer to Peer Connections. Microsoft Edge browser version 12 to 14 does not support this property. Web Rtc Peer to Peer Connections. Microsoft Edge browser version 15 to 17 supports this property. Web Rtc Peer to Peer Connections. Opera version 10.1 to 17 doesn't support Web Rtc Peer to Peer Connections. Opera 18 to 42 partially supports Web Rtc Peer to Peer Connections property with prefix:webkit. Opera 43 to 53 supports Web Rtc Peer to Peer Connections property.